It’s officially Spring and people are gearing up to celebrate. 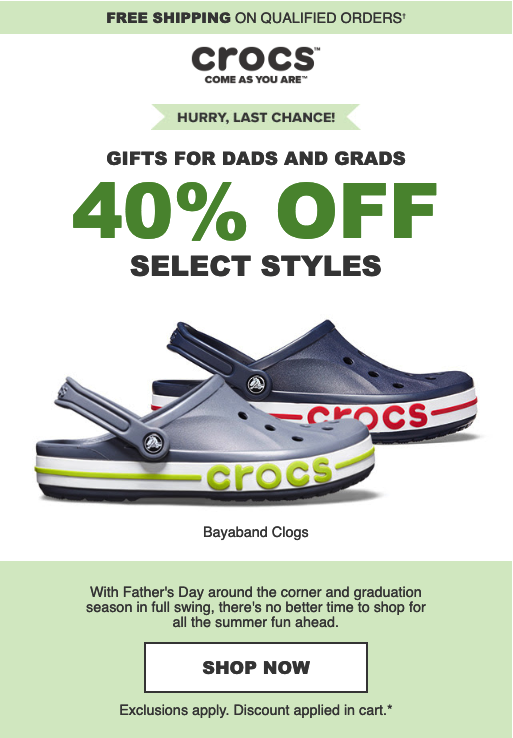 With Mother’s Day (May 12), Father’s Day (June 16), and Graduation celebrations (May and June) all set to take place over the next few months, now is the perfect time for you to celebrate your customers. 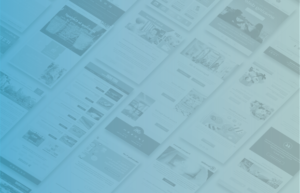 We took some time to sift through countless emails and we’ve compiled some of the top ideas, promotions, and themes that retailers are implementing to help customers celebrate. We all have those candid, and generally embarrassing, moments that find their way into photographs. These types of photographs are great for evoking fond memories and highlighting the people you love. 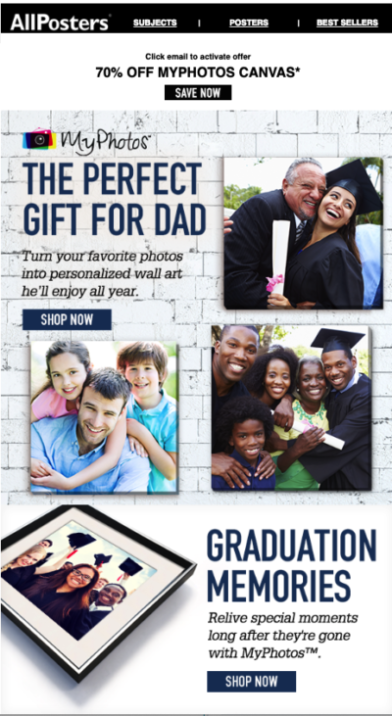 When crafting emails, add a touch more sentimentality by including photos that showcase that special someone. Diane Von Furstenberg took the time to create this heartwarming email. 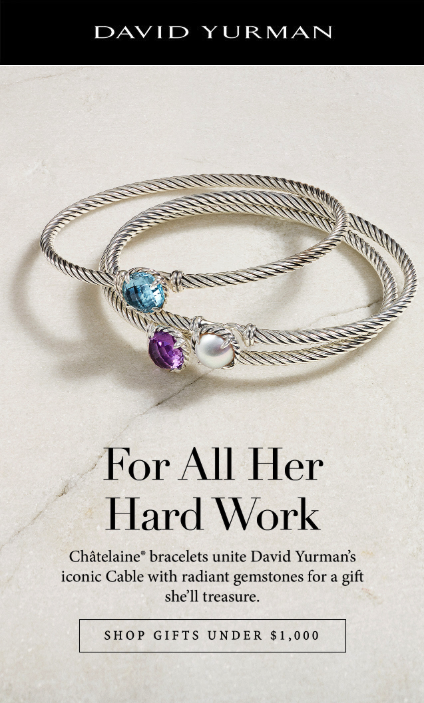 Rather than making their email about a sale, they focused on the meaning behind Mother’s Day. This campaign is a great example of how to elevate your brand. 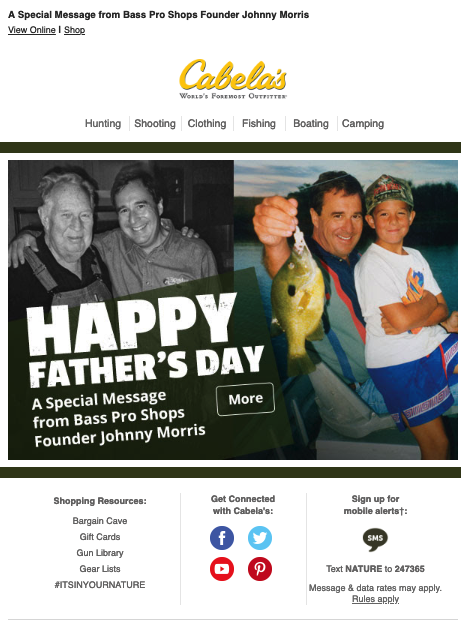 Cut from the same cloth, Cabella’s sent out a simple email that included a message from Bass Pro Shops’ Founder, Johnny Morris, complete with photos of Morris and his father. 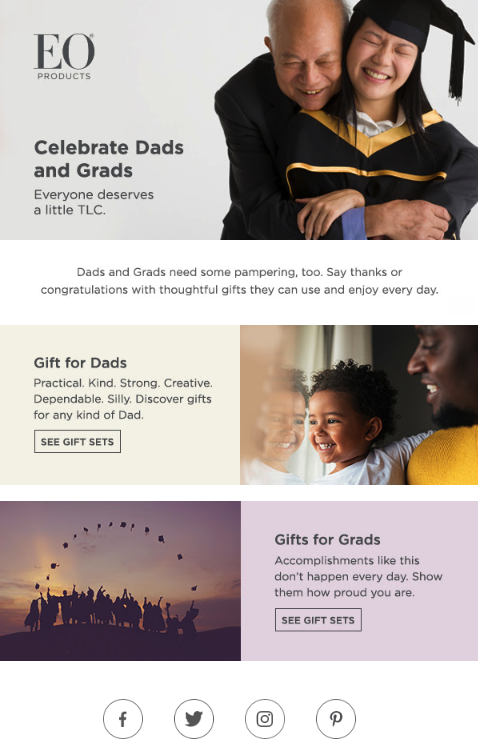 EO Products took the opportunity to promote graduation and Father’s Day at the same time—using appropriate imagery for both occasions. Mother’s Day, Father’s Day, and Graduation are all personal holidays—people celebrate in extremely different ways, and what better way to embrace your community than to show them off. A great way to boost engagement is to think of ways to include your subscribers and customers in the narrative. For example, maybe you spice up your emails by adding customer stories and photographs, or, perhaps you utilize social media and get your customers to share memories and photos with a prescribed hashtag. Marketing is all about memorable experiences, witty turns of phrases, etc. 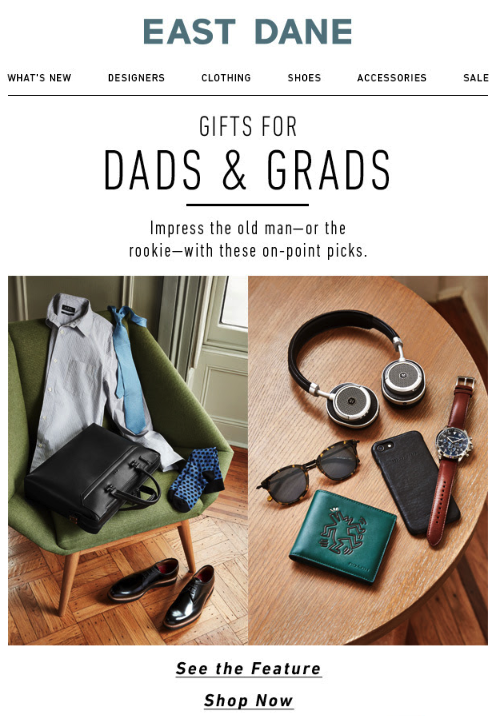 While sifting through emails, we found a recurring phrase: Dads and Grads. Not only does it roll off the tongue nicely, it allows you to target two holidays at the same time. 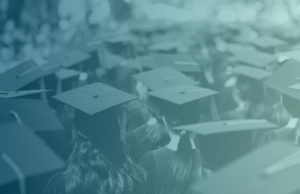 Graduation is a milestone for any parent and child. 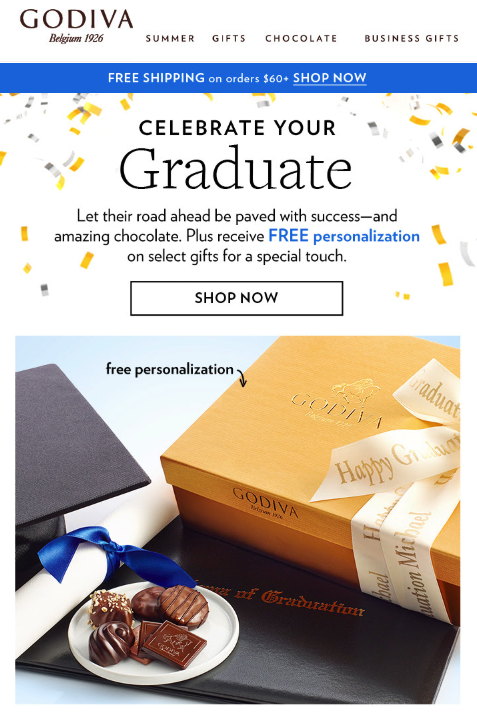 Whether the graduate is receiving a diploma from elementary school, college, or another program, help your customers celebrate this special time with their loved ones. 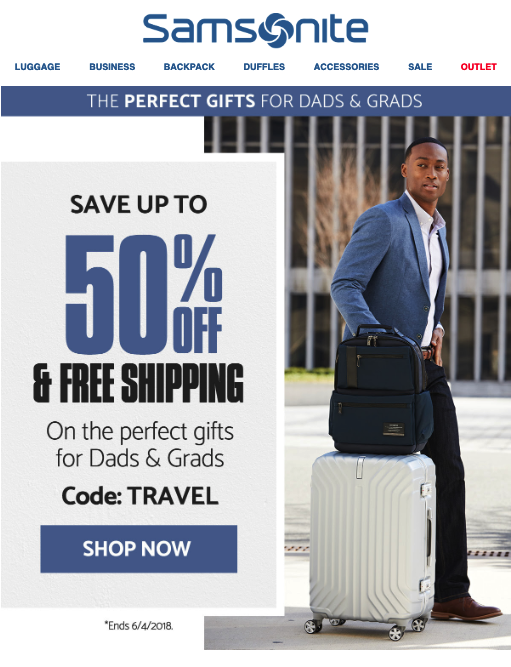 Consider sending a few dedicated campaigns about graduation and remember, be helpful—gift guides, top sellers, and product recommendations are always a plus. While Mother’s Day and Father’s Day are widely celebrated, these two days can be difficult for people. 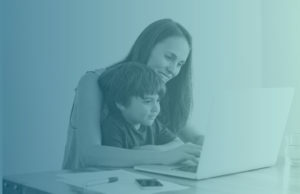 If you’re planning on running a Mother’s Day or Father’s Day campaign, consider sending out a pre-campaign email allowing people to opt-out of Mother’s or Father’s day email content. 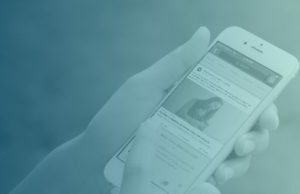 This will ensure you’re subscribers see promotions they’re interested in, and you’re not accidentally offending or upsetting a valued customer or subscriber. While there are plenty of different types of promotions you can run during Spring, these three campaigns tend to be some serious money makers. Case and point, Mother’s Day 2018 raked in $23.1B in revenue and Father’s Day saw spending of $15.3B in the United States alone. 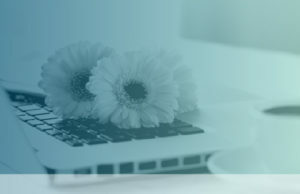 If you’re looking for some help with your Spring campaigns, we’ve got a team of knowledgeable, email marketing gurus who are just a call away. Simply contact us to learn more about how we can help. 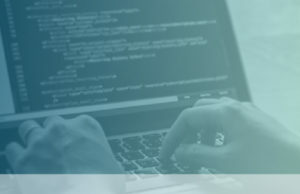 Note: this post was first published on March 17, 2015 by Yuyi Li, it was re-written and re-published by Polly Flinch on March 26, 2019.